Rising Star: A nonprofit professional with fewer than five years of career experience making significant contributions to the RVA nonprofit sector. Great Nonprofit Boss: A nonprofit manager who has gone above and beyond to promote a great work environment for their staff. Outstanding Organization: A great nonprofit organization that fosters a nurturing and empowering environment for young nonprofit professionals. Network with the winners, nominees and other nonprofit leaders and young professionals and learn more about RVA’s Young Nonprofit Professionals Network (YNPN RVA). 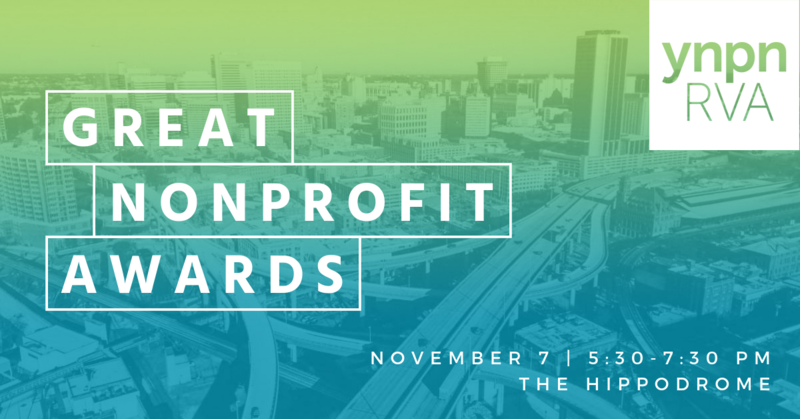 Get inspired by the lessons the honorees will share with guests and use them to amplify your impact on our local nonprofit community.